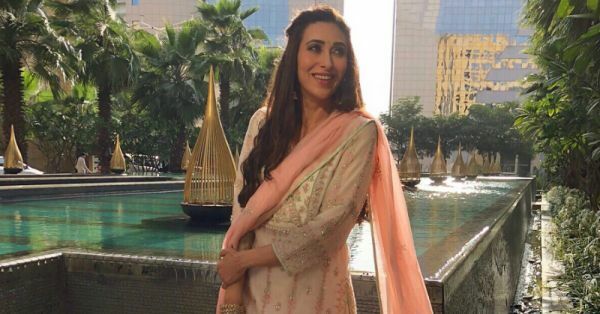 Karisma Kapoor's Suit For Janmashtmi Gave Us The Ultimate *Maiya Yashoda* Feels! There was this song from Hum Saath Saath Hain that my mom used to make me dance on in front of the guests. Remember the one which Karisma Kapoor dances on in an orange lehenga, with a ghoonghat and everything? Back then, Karisma was complaining about Lord Krishna's mischief to his mother, Yashoda, in an overtly coy song and dance number (Bollywood, duh!). But this Janmashtami, Karisma herself is giving us said 'Maiya Yashoda' feels with her pretty suit and we have no complaints. Karisma wore a pretty Patiala salwar suit by Anita Dongre and it's all about peaches and cream. Not just her outfit, the accessories she's wearing with it are perfectly complementing the look too. We're loving the matching potli bag that she is carrying and the simple golden juttis are lending a proper Punjabi touch to her Patiala look. Here's a cute Gold-Toned Embellished Potli Clutch (Rs 1,299) by Dice for the wedding season. And while you're at it, grab these Gold-Toned Handcrafted Embellished Juttis (Rs 1,015) by Ta Chic too. Don't even get us started on her jewellery. Karisma wore a set of dull gold-toned temple earrings and a cuff bracelet to glam up her sequins embroidered suit. 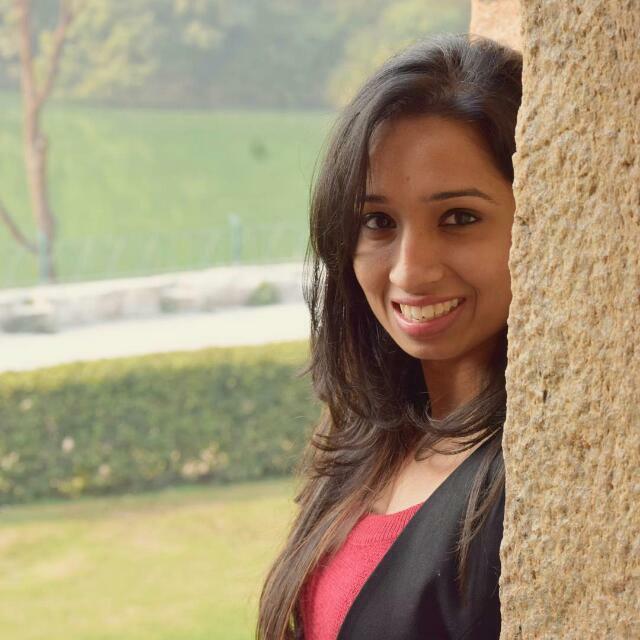 All she needed was a coloured bindi in pastel green, matching the suit's piping, to complete her look. And kudos on that hairdo, Karisma. Like her earrings? We found these Gold-Toned Contemporary Drop Earrings (Rs 382) by Voylla in a similar style. This look is so easy-breezy and just the perfect festive wear this season for a woman who's all about earthy colours and all things pretty.